Multitasking: everybody does it, some people claim to be good at it others claim to be bad at it; the truth behind it is that the simple act of multitasking negatively affects performance on each task being performed at the same time. Studies have shown that tasks performed simultaneously result in both tasks being performed worse than they would have come out if they had been performed individually. For me at least, the biggest problem I have is transitioning between (what seems like) 50+ things I’m supposed to get done. It’s happened to all of us, you’re working on a project when suddenly an email reminds you of something and starts off a string of actions that distract you from your work. Maybe someone important texts you which makes you send an email which reminds you to make an appointment, or maybe you’re just perusing social media... the list goes on and on. Then when you finally realize that you really need to be working it takes a good 20 minutes to get back in the zone and finish that project. It’s the kind of thing that everyone does but doesn’t necessarily realize how much time they’re actually wasting. Besides wasting time the studies earlier showed that if each item was done independently they likely would have been done better than the frantic switching between tasks that we experience all too often. A quick google search will find you tons of articles like “Why Multitasking Doesn’t Work” or “Multitasking Wastes Time and Money” and many of them talk about the fact that switching between tasks is something our brains have a hard time with. The evidence is out there that multitasking is not beneficial for us, but we all still do it, hurting our performance on all the tasks we’re working on. So whats the solution here? We could either cut out multitasking altogether, or we could accept that its going to happen and work on getting better at it. My vote is for the latter, but then how do we do that? Brain training games like Lumosity are excellent for working on executive memory. Executive memory is associated with the ability to switch between tasks and is closely related to working memory. Exercise may also help as it promotes a chemical called BDNF (Brain-Derived Neurotrophic Factor) which helps to stimulate new connections in the brain . And of course, I would be amiss if I didn’t also mention that tDCS can help. tDCS allows for increased focus, so the problem of having your mind wandering while trying to finish that project would not be as much of an issue; however, the focusing aspect of tDCS has been discussed in previous posts. Another major benefit that it offers is increased ability to switch between tasks. So not only are you more able to focus on the project, when you finish it or need to work on something else you won’t have that 10 minutes of downtime where you’re gearing up to start the next task. With tDCS stimulating the dorsolateral prefrontal cortex, specifically the cognitive benefits of increased focus and ability to switch between tasks, multitasking (despite being detrimental) can be done in a way that maximizes performance while multitasking. If you’re going to keep multitasking, which let’s face it, in the age that we live in it is extremely rare to just focus on one task at a time, you might as well do it in the way that’s as effective as possible. It’s clear that there are many benefits to tDCS, especially when it comes to applications of learning and memory. However, no brain is ever the same and many people often need a push in the right direction. There are a slew of drugs which are designed to shift chemical imbalances in the brain in order to alleviate symptoms and get the brain backl on track towards good mental health. These kinds of drugs treat an array of symptoms and disorders anywhere from OCD-like behavior, ADHD, or depression. While tDCS is not a drug, it does temporarily tip the balance of neurons towards firing more or less often and some people may be concerned about the combination of tDCS and medication. As it turns out, researchers have thought the same thing. One of the most commonly prescribed groups of drugs are known as Selective Serotonin Reuptake Inhibitors (SSRIs) which help to alleviate the symptoms of depression and anxiety. These drugs work (in very simplistic terms) by prolonging the amount of time serotonin spends in the synapses of neurons which leads to increased signaling. What you probably didn’t know was that serotonin also increases the ability of neurons to form new connections. The increase in neuroplasticity as a result of even a small dose of an SSRI is well documented. This neuroplasticity is the same process that is increased in tDCS, so what happens when an SSRI and tDCS are applied in combination? Researchers have demonstrated that the pairing of various SSRIs and tDCS actually significantly increases the effect of tDCS and prolongs the aftereffect of stimulation. [2&3] Perhaps what is even more interesting is the flip side coin where scientists have found that the application of tDCS and an SSRi in conjunction resulted in better clinical scores for depression than either treatment alone. The synergistic effect of the two yields hopeful results for future therapies. While more research still needs to be done on combinations of drugs and tDCS application, the current research is promising. And if you’re one of those people taking an SSRI, don’t worry you’re already ahead of the curve. It’s that time of the year again, the glorious overlap of football, baseball, and hockey. These athletes have spent years practicing and working on skill acquisition to get to this point. If you’re like me you’re quickly humbled by the amount of talent and skill these players demonstrate on a weekly basis. Nearly all professional athletes have such good muscle memory that every throw, catch, check, or swing of the bat is completely dialed in. Given the topic we figured we might talk about a largely studied area of tDCS; the use of brain stimulation to improve aspects of motor control. Stimulation of the motor cortex was one of the first widely accepted protocols in early tDCS research and was used for both healthy individuals as well as those affected by illnesses such as stroke, Parkinson’s Disease, or traumatic brain injury. There are a number of studies that have demonstrated that stimulation of both the right and left motor cortex improves reaction time and accuracy of specific motor tasks [1,2]. Studies like these have demonstrated the huge potential for tDCS in stroke rehabilitation, and more recently stimulation of the motor cortex has been used to enhance fine motor skills in healthy people. This stimulation has the ability to greatly improve motor skill acquisition. One study showed that those who received real stimulation for 20 minutes a day over 5 consecutive days increased skill acquisition considerably more than those who received sham stimulation. Even more impressive was that after 3 months without any practice or intervention those who received stimulation were still significantly better than those who had not. Since there have been numerous studies demonstrated enhancement of simple motor tasks more recent papers have examined the possibility that tDCS over the motor cortex could help to improve more complex motor tasks or motor tasks more translatable to real-world activities. One study looked at the use of stimulation to improve the fine motor skills of pianists. They found that there was a significant improvement in players who were deemed beginner musicians but little improvements in expert musicians. With the possibility that tDCS could be used to improve real world motor tasks also comes the implication that this technology could be used not just for musicians but also for athletes. Now no theories have been absolutely confirmed but it’s possible that during excitatory tDCS the neurons being stimulated are more likely to fire and so for the unskilled learner they are more likely to find the correct sequence of neurons to perform a certain skill or task. However, with a skilled performer the correct sequence of neurons firing may already be well established and thus excitatory tDCS may spur an incorrect sequence to fire and thus skill is diminished. So if you’re worried about tDCS being used for performance enhancement in sports you can breathe a sigh of relief, and get back to watching the sports you love. This creates an interesting question for tDCS Products like Halo Neuroscience’s headset the Halo SportHalo SH for athletes (www.haloneuro.com) Its clear that the creators have put a lot of time and effort into the product however, this is targeted towards the motor cortex. Their data seems to suggest minor increases in athletic performance but not a clear indication as to how they arrived at these numbers. Perhaps these athletes were training in new moves they did not have dialed in? Or new motions that they would not be considered an expert in? Both my co-founder and I are interested in seeing where this goes and only time will tell. Chances are if you’ve ever failed a test or had a particularly overbearing teacher you’ve heard all about the “learning curve”. As an abstract concept it’s an easy way to explain why you didn’t do so well on that last quiz or just a way of saying it’ll take you a while to get accustomed to something. In reality, the learning curve is an actual mathematical model which is used to predict the rate and accuracy at which people learn new material. The original idea came from studies run by Hermann Ebbinghaus (who did a lot of work in early psychology) when he would teach himself nonsense syllables each day and attempt to recall the syllables from the previous day. The eventual result was a curve of how long it took him to learn the group of syllables he had given himself on a particular day. Since then complete mathematical models have been established as a way to visually summarize the learning of a particular task or list. (If you’re interested in these models check out this paper ). While the history behind the learning curve may not be super interesting what is impactful is the ways in which this learning curve can be shortened by studying techniques. So what’s your normal routine? Go grab a large coffee, sit down at a quiet desk, play music, and re-read everything until you know it? If this is your usual way of learning then you may have gotten a few things right but there’s always room for improvement. For example, research has shown that caffeine is an effective way to stay alert and focused  but you’d be better off spacing out your studying over a period of time rather than trying to do it in one sitting . There are all sorts of techniques and methods for studying which can cut down the learning curve which can be found all over the internet some backed by science and others not but we’ll save that for another post. What we find really interesting is the potential to cut down the learning curve using tDCS. One study conducted a modern version of Ebbinghaus’s original learning and memory task. For this experiment subjects underwent stimulation while learning a new vocabulary and those who received the real stimulation learned faster and retained the information better than those who didn’t receive stimulation. An even more startling result of stimulation and learning are the results coming from the military’s use of tDCS to train soldiers. The testing being done by the US military from their own made tDCS device has demonstrated a two fold increase in learning. This means that they can cut the training time for soldiers in half! There is a wonderful Radiolab podcast about tDCS ( found here ) which highlights the military use of the technology and its application. With more studies involving tDCS and learning on the way, we can’t wait to see where this technology will lead us. So far on our blog we’ll explore a few different possibilities for tDCS applications; topics such as multi-tasking, decision making, and motor skills to name a few. Most of these areas of study have come from neuroscience labs based out of hospitals or universities but a number of studies have also come from labs within the US military. With the advent of this technology the military has taken a big interest in the potential to enhance the capacity for soldiers to perform better in the field. 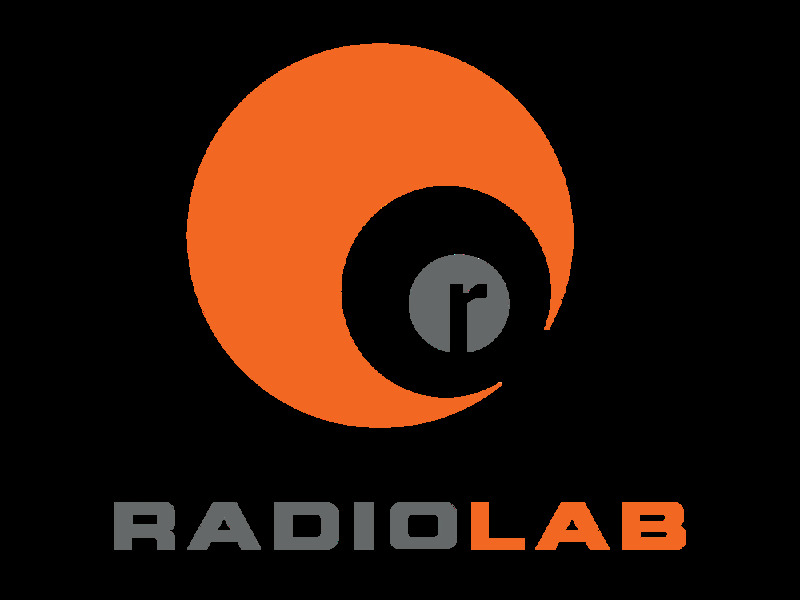 We’ve mentioned before the podcast on NPR’s Radio Lab which takes a look at tDCS and specifically the military’s use to enhance the performance of snipers (Listen here: http://www.radiolab.org/story/9-volt-nirvana). We also cited one of the papers put out by the Wright-Patterson Air Force Base which looked at tDCS as a replacement for caffeine. Aside from increasing vigilance of soldiers, this lab has also published a few studies examining the potential for tDCS to increase areas of function such as spatial awareness, decision making, and multitasking. One study performed by this same lab examined the effects of tDCS in a visual spatial task. The task, a Synthetic Aperture Radar (SAR) task involves viewing a screen and identifying which images on screen were targets or not. This is a training simulation used for drone pilots which in practice receive a similar image from the live feed of a military drone. The goal of this task was to see whether stimulation via tDCS could improve the score of the subjects. Results showed that those who had received real stimulation condition had 25% greater accuracy compared to those who received sham stimulation or no stimulation. Another study employed by the military looked at the ability of soldiers to multi-task and how this skill was affected by tDCS. Subjects played a flash game called Space Fortress which requires a high level of multi-tasking and the study demonstrated that those who had received real stimulation out performed those who received sham or no stimulation. Interestingly, the authors of the paper argued that an increase in focus and attention (similar to their previous study on caffeine and vigilance) was the driving factor in an increased ability to multi-task. Only time will tell as to how the military will implement this technology more and more into the training of soldiers or perhaps as a real time application in the field of battle. Be sure to comment below on what you think might be the future of the military and tDCS. Describe your morning routine, I can almost guarantee that at some point it includes a cup of coffee. In fact, I am about 83 percent sure it does. A recent online survey by the National Coffee Association found that 83% of Americans drink at least one cup of coffee per day. Maybe you drink coffee to wake up, to improve your focus, stay alert, or maybe just to be functional for the day ahead. The problem with caffeine is feeling jittery, the crash after, and most of all its addictive potential. Additionally, due to a build-up of tolerance, often more and more caffeine is required to induce the same effect (just ask any commercial trucker or daily Starbucks customer). Caffeine is actually the most widely used psychoactive drug in the world. Energy drinks like Red Bull, Monster, and to a certain extent 5 Hour Energy have become a potent and commonplace addition to the diets of many to maintain their caffeine needs. People are always looking for more efficient, portable, and effective ways to consume caffeine. 5 Hour Energy, for example, advertises that there is “no crash later.” However, anyone that has tried it knows that, while there is less of a crash later than a cup of coffee, the phrase “no crash later” is too good to be true. There is a new emerging technology that may be able to make this same claim and be able to back it up. Transcranial Direct Current Stimulation or tDCS, is a new technique that places electrodes over specific regions of the brain and runs a low voltage electric current between them. Doing so temporarily alters the threshold at which a neuron will fire. This neuromodulation boasts and impressive list of potential applications including an improvement in focus and attention, often termed ‘vigilance’ in the scientific literature. So could brain stimulation replace caffeine? The potential for tDCS to supplement or even replace caffeine is a compelling idea. A recent study published in the journal Brain Stimulation directly compared the effects of caffeine and tDCS. The sham (placebo) controlled study demonstrated that the application of tDCS led to a better subjective rating for the improvement of fatigue, drowsiness and mood. The authors of the study even suggested that, due to its prolonged effects on mood and performance, tDCS actually outperformed caffeine. So now you might be thinking, “Ok awesome, but is there really no crash later?”. tDCS is a new field that is still being researched but all nearly previous research demonstrates a unique aftereffect of this form of non-invasive brain stimulation. A single short session of tDCS can create an aftereffect lasting up to 24 hours later in some cases. Again, this research is preliminary but a study published in the journal Neuroimage suggests that tDCS induced vigilance results in a net gain of resources rather than a net loss (which is typical of a “crash” from caffeine). The authors of the paper further concluded that tDCS intervention may be a valuable tool “to mitigate performance degradation in work settings requiring sustained attention”. It seems that this new technology may be the key to a more efficient and focused workplace. Could Brain Stimulation Increase Motor Skills? Copyright Brainstorm Systems Inc., 2016.